Finally an affordable piston vise with all the best features including; quick set-up, repeatability, billet aluminum, corrosion-resistant anodizing, universal, and easy to use. Up to 4.5" diameter pistons. 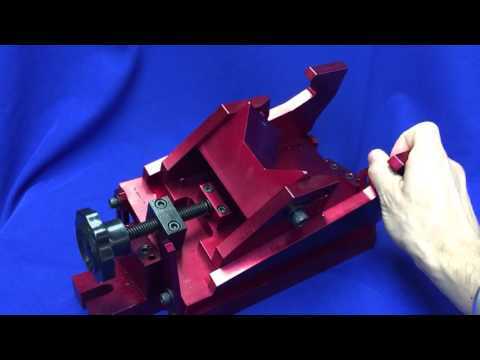 Finally an affordable piston vise with all the best features including; quick set-up, repeatability, billet aluminum, corrosion-resistant anodizing, universal, and easy to use.